This is going to be a super short blog post. It is late at night and I have the inlaws coming over tomorrow. I don’t normally leave things to the last-minute because I’m the kind of prepare, prepare and prepare again sort of a girl but here I am staring at the stroke of midnight with my kitchen filled with the aroma of zesty cake from my latest vegan experiment. I have to say that my journey towards finding the best vegan cake recipe has been a colourful one. There have been some very unusual example of cake, most tasting of banana, coconut or peanut butter but I have struck gold ladies and gentlemen. This cake is simply delicious. I really wanted to make a cake to impress our visitors tomorrow and I always feel the pressure when cooking for non-vegans but after a cheeky cake taste. ( I made extra to try. I had to have a little bit of a backup plan after all! They don’t call me checklist girl for no reason you know!) I can honestly and truly tell you it is completely scrumptious. So here goes. I won’t make you wait a minute longer. 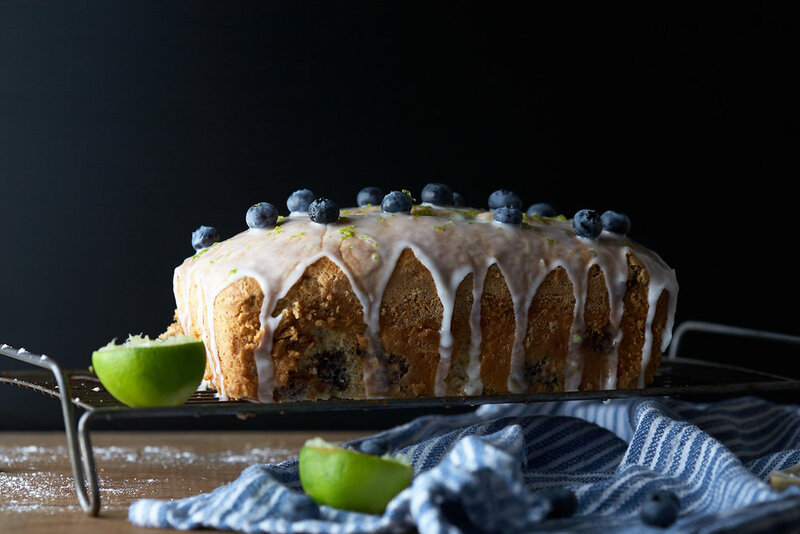 I give you the awesome, the fabulous, the zesty, the sweet, (yes it deserves a long introduction) the moist, the best vegan lime and blueberry “mmm” cake you ever did taste. This is such a simple recipe. I can’t believe that I spent so long trying to replace eggs and butter in vegan cakes that it never really occurred to me before now that maybe a cake didn’t need those ingredients anyway! This is going to be my base recipe from now on and I shall try and vary it with different flavours…chocolate cake here we come! Drool! So now I’m off up the wooden hill I’m afraid guys. I am really looking forward to hearing your stories and seeing your pics of your “mmm’ cake examples. Let’s tell all the vegans we know that you no longer have to suffer the flat coconutty bakes of yestercake but we can flourish and grow under the compliments of our tea party guests with the words “I can’t believe its vegan” ringing in your ears. Enjoy my beautiful friends, enjoy!